Through the method of curation, we arrive at the convergence of critical pedagogy and pedagogy 3.0. The “critical” in Critical Pedagogy 3.0 refers to the ability to recognise, analyse and critique the social, cultural and political processes that are a part of knowledge production. Championed by Paulo Freire, bell hooks and Henry Giroux, among others, at the centre of critical pedagogy is an understanding of the unjust operations of power. For example, critical pedagogues teach students to think critically about their education situation, recognise it as a structure of authority, be actively engaged in holding it accountable, and make change through participation and self-empowerment. Critical pedagogy demands that educators actively transform oppressive practices and structures making education democratic, emancipatory, and empowering to all students. Following on from the user-generated content revolution of Web 2.0, Web 3.0 bespeaks the new connective intelligence of computing. The “3.0” in Critical Pedagogy 3.0 builds on this in relation to new ways education can be accessed and our expanding ideas of what counts as legitimate educational texts and approaches in an online environment. Jackie Gerstein (2013) defines pedagogy 3.0 a connectivist and heutagogical approach to teaching and learning. “The teachers, learners, networks, connections, media, resources, tools create a unique entity that has the potential to meet individual learners’, educators’, and even societal needs. Many resources for Education 3.0 are literally freely available for the taking”. With this in mind, I have created this dynamic resource featuring a selection of articles to inspire pedagogy and assist with creating, curating and delivering educational materials to tertiary level students in the era of Web 3.0. Resources cover a variety of topics including multimodal literacies, digital curation, eLearning, differentiated instruction and peer assessment which will be of particular relevance to my colleagues teaching CIU modules at SAE. In 2012, digital humanities has multiple established and emerging centers, tenured professors, programs, and initiatives, its own book series and journals, and its own funding office at the National Endowment for the Humanities. The New York Times and robust Twitter, Facebook and blogging communities host fervent debates about defining the field and the nature of digital humanities work and considering who—computer scientists, new media critics, tenured English and history professors, undergraduates, graduates, alternative career scholars, women, queer, transgender, people of color—takes advantage of these new and limited resources.4 In all regards, in discussing how we define the field and who or what we include in it, we must also consider what students should do and should learn in a digital humanities program. This chapter will explore this question (the why, the how, and the what students should learn) by discussing three interconnected topics that influence the development of undergraduate digital humanities curricula: the history of digital humanities as a history tied to curriculum development; the role that institutional infrastructure is playing in program development; and current notions of “digital literacy” in undergraduate education. Storytelling in any format is about making meaning. While the essence of the stories we tell may remain the same, the ways in which we can now share these stories have changed dramatically with the development of digital communication technologies. Access to simple, easy to use media production tools and resources in conjunction with the potential for immediate and universal online publication has significant implications for literacy thinking and practice. This website is an evolving compilation of resources designed to support the development of student multimodal authoring at all year levels. It features examples of different types of student multimodal compositions to demonstrate the rich variety of choices available, along with practical resources to support text production. To help your students get the education they deserve, building a community within the classroom is a solid way to get them thinking, interacting, and learning. Teaching online is increasingly an option for higher education instructors. Traditional institutions are expanding their reach by adding online versions of their existing programs and online universities continue to add new programs to their catalogs. And in some cases, teaching online is a requirement, as traditional faculty are encouraged or assigned to take their face-to-face courses online. Online instructors can realize benefits from the virtual delivery of an academic course, but they also face a number of challenges. While they enjoy some of the same benefits that draw online students in terms of convenience and flexibility, online instructors must also master additional skills associated with the technology and administration required of a virtual learning environment. Digital Pedagogy Lab is part of the educational outreach of the Hybrid Pedagogy Inc. non-profit and focuses on the implementation of critical digital pedagogy in education at all levels. Our open-access peer-reviewed journal champions the voices of often unheard teachers and learners. We also offer professional development opportunities that prepare learners, educators, librarians, and administrators to teach, collaborate, and think with digital technology. learning.futures is about re-engineering subjects to enable students to experience a seamless integration of the best of online and face-to-face on campus learning. learning.futures is characterised by the practices developed through the Learning2014 initiative. These practices aim to combine the best of online and face-to-face teaching and make use of the new spaces on campus that have been designed to accommodate approaches such as flipped learning and collaborative learning. The concept of digital curation has evolved from its original use. While the digital preservation of artifacts is still the primary domain of digital curation, due to Web 2.0/social media applications it has allowed anyone to easily create a topic centered library online to share with the world. Assets found online can now be quickly collated into a visually appealing web site using freely available tools. This descriptive paper explores the potential use of digital curation within three tertiary institutions. Web Writing: Why and How for Liberal Arts Teaching and Learning by Jack Dougherty and Tennyson O'Donnell. Blogging Beyond the Classroom is an online forum for exchanging ideas and swapping experiences of learning and teaching with blogging and other social media. It aims to help students & teachers in HE explore blogging as a learning & communication tool. Helen Rogers set up the site with the support of a Teaching Development Grant from the Higher Education Academy. We've collected resources from Edutopia and the web to help you navigate the possibilities of blended learning, an approach that combines face-to-face instruction with technology-mediated learning. A website where our inspiring people at Navitas share their Learning & Teaching stories, initiatives, projects, events and more. Use this site to kick-start your own conversations, connections and collaborations here at Navitas! The vast majority of the undergraduates we teach will not become professional scholars, but all will be educated citizens with a responsibility to put their knowledge and abilities to use for the common good. Our work with them, then, is not only about exposing them to the critical methods and modes of thinking that are central to knowledge-making in our fields, but also about helping them to map humanist questions and approaches onto an always complex and changing world. Wikipedia (http://www.wikipedia.org/) provides students with a range of opportunities to work as intermediaries between the disciplinary expertise they are studying, a public system of knowledge curation, and a global audience of readers. In this chapter, I present a case for Wikipedia as an environment not only for the collaborative compilation of knowledge, but also for collaborative inquiry into knowledge-making practices and resources across disciplines and cultures. We can engage students in humanist thinking about the technologies through which digital communities and collaborations are supported by involving them in Wikipedia content development and by directing critical attention to the ways that established institutions of knowledge inform and interact with the tools and resources of the digital public sphere. My focus here is not on descriptions of specific assignments,1 but rather on expanding attention to the wide range of pedagogical affordances presented by the resources and interactions that Wikipedia’s texts, tools, and community make available. "Effective teaching is not a set of generic practices, but instead is a set of context-driven decisions about teaching. Effective teachers do not use the same set of practices for every lesson . . . Instead, what effective teachers do is constantly reflect about their work, observe whether students are learning or not, and, then adjust their practice accordingly (Glickman, 1991, p. 6). We are now in the age of visual information where visual content plays a role in every part of life. As 65 percent of the population is visual learners, images are clearly key to engaging people in eLearning courses. Moving and still images have been included in learning materials for decades, but only now has faster broadband, cellular networks, and high-resolution screens made it possible for high-quality images to be a part of eLearning visual design. Graphic interfaces made up of photos, illustrations, charts, maps, diagrams, and videos are gradually replacing text-based courses. In this post, we will dig deep into some statistics and facts to further convince of why eLearning developers should embrace visuals when creating their courses. A guide (in several parts) for teacher, new to blogs and blogging with their students. The guide will be based on the assumption, that in order for a teacher to facilitate quality student blogs, the teacher needs to have their own understanding of quality blog writing. This poster size guide for teachers allows you to compare the functionality and pedagogical advantages of some standard Moodle tools, adding a column to indicate how tricky the tool is to set up. Everything you need to know to help tutors set up their Moodle. Moodle 3.0 the next stable release of the most popular open source LMS "Moodle" is fully packed with new features and lot of improvements. Digital curation is has become somewhat of a buzz word within higher education in recent times. However, its value is far from fleeting. Digital curation has been defined as: “An active process whereby content/artefacts are purposely selected to be preserved for future access. In the digital environment, additional elements can be leveraged, such as the inclusion of social media…the ability for other users to suggest content…and the critical evaluation and selection of the aggregated content” (Antonio, Martin & Stagg, 2012). 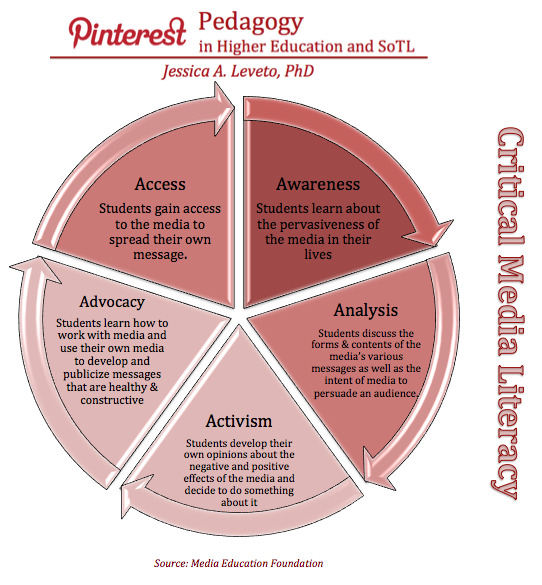 For this reason, it is a valuable asset for teaching media literacy within higher education settings. This diagram illustrates how one platform, Pinterest, may be used this way. Peer and self assessment is an effective way to engender engagement and develop learning communities. This article provides a good introduction facilitating this process. Peer assessment is a process through which students and instructors share in the evaluation of student work. It can have many different forms. Researchers find that peer assessment deepens students’ understanding of their own learning and empowers students to become more actively engaged and self-directed in their learning processes (Falchikov, 2005; Sivan, 2000). It is Dyslexia Awareness Week and this year’s theme ‘Beyond Words’ highlights the range of difficulties people with dyslexia can face when trying to access education. Hands on project based learning is a primary example of the reawakening process in action. It is like a school which doesn’t have text books going back to first sources only reading actual authors. But there is a source even more primary which is the conversation with material itself, probing human psychology and social reality directly through action and experimentation, through projects and so vicscerally: the creation of physical artifacts, which is just the most concrete expression of the making of meaning. I found this great list of apps and tech tools that are organised based on the task you want students to accomplish. Institutions offering online learning must translate the traditional classroom space into the online one based on what the students want and need. More than any other goals, students want connections and a sense of community in their online courses. Effectively translating student wants and needs to online learning increases their likelihood of success in their online courses and in pursuing higher education. changed considerably in recent years and we don’t expect it to slow down anytime soon. Reflecting and responding to your reflections will directly affect your students as you change and adapt your teaching. You will reteach and reassess the lessons you have taught, and this will allow students the chance to gain new skills and strengthen learning. Creating evaluation models will help you to know whether the actions you have taken have had the intended effect. This Cambridge University Guide provides a comprehensive overview of reflective practice models and techniques and presents an irrefutable account of the benefits of teacher-reflection. Web Literacy for Student Fact-Checkers by Michael A. Caulfield is licensed under a Creative Commons Attribution 4.0 International License, except where otherwise noted. iTeachU is an eCampus resource for faculty who teach online support at University of Alaska Fairbanks.